Primo, a UK start-up that makes smart toys to help children learn coding, has secured £304,920 on crowdfunding platform Crowdcube – smashing its £200,000 target. 313 investors backed the round in exchange for 10.87% equity offered – with a largest single investment of £33,200. 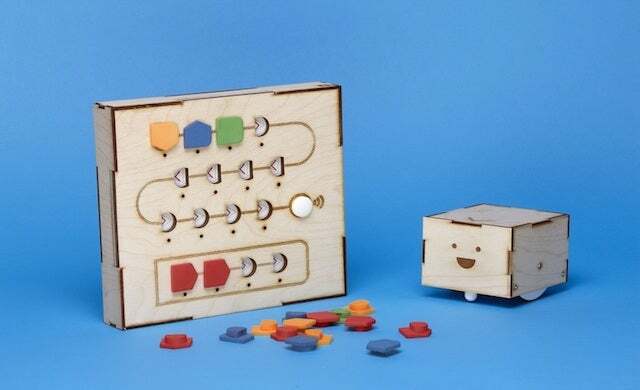 Founded by Filippo Yacob and Matteo Loglio, London-based Primo manufactures and sells “tangible toys” to government and schools, which help pre-literate children develop digital coding skills early on. The toys are designed to expand with digital apps and come with curriculums for educational customers. Primo has said its first product, the Cubetto Playset, has already been sold in over 40 countries and is currently used by more than 800 schools, nurseries and parents worldwide. The funds will be used to facilitate a product launch and to invest in online marketing and sales growth. Yacob commented: “We believe that coding is a new literacy, and should therefore be introduced and prioritised from an early age.